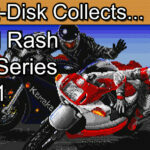 Insert Disk collects Turbo Out Run for the Sega Mega Drive / Sega Genesis. 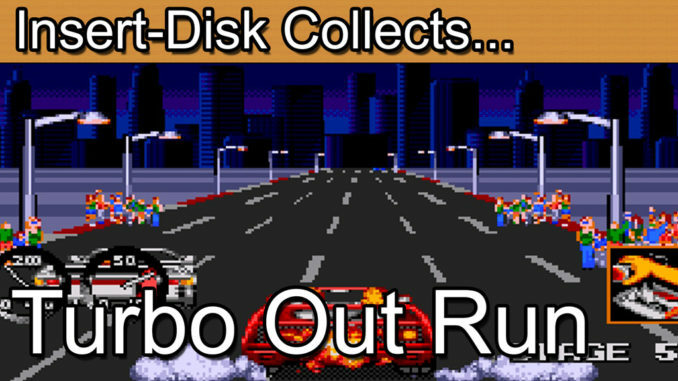 Today’s retro game review is Turbo Out Run for the Sega Mega Drive / Sega Genesis. This retro gaming classic is was a number one hit in the arcade across the world. Sega’s Turbo Out Run remains one of the most iconic racing games to this day. Finding a best in class home release on the 16-bit Sega Mega Drive and Sega Genesis Turbo Out Run became the go to racing game of it’s time. It’s one of those games that really stands up to the Sega Ages (Segages) slogan. Join me in part 2 of 3 of this Out Run Mini Series. Greetings collectors and welcome to today’s retro game review. Welcome to part two of this Outrun mini series. In the last episode we screeched our way through the original Outrun for the Sega Mega Drive and Genesis and examined what is perhaps one of the most influential racing games of all time. 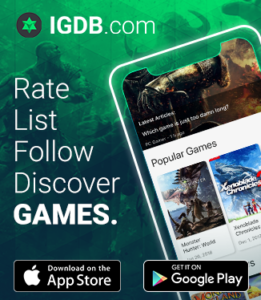 So, how would Sega follow up? There really was no option. With the arcade original cabinet reportedly selling over 30,000 units and the home edition universally loved by fans Sega was under immense pressure to release the follow up in to the home market and solidify their position as the go to people for a home arcade gaming experience. In 1992, just one year after the 16-bit releases of outrun, Turbo Outrun was released. Sequels are sometimes a difficult proposition. Keep things the same and be accused of cashing in, change the formula too much and risk the wrath of fans wanting the original experience. We wanted faster though, we wanted the turbo… I’m pleased to say that Sega made lightning strike twice. Turbo Outrun may not be the universal fan favourite but boy did Sega give this one some effort. The Ferrari Testarossa Spider, gone, have a Ferrari F40. The manual gear change, only if you want to, if not here’s an automatic for you sir. Starting off in New your this time around on your voyage to Los Angeles things are going to get a little too fast for some. Before you know it bang, fire and brimstone erupting from the back of your car. Your photosensitive epileptic friend now nowhere to be seen, never mind because your cruising at insane speeds desperately holding on for dear life. Gamers asked for speed, Sega pumped us all so full of turbo our noses bled. The bottom line was that Turbo Outrun was a larger and faster experience than its predecessor. Was this too much of a good thing though? As a general consensus Outrun is perhaps the fan favourite of the series but for those than can handle the upgrade in speed Turbo Outrun is the more immersive and gamer consuming entry in the series. Your new ability to hit the turbo button changes everything. What we loved about Super Hang-On was now in the Outrun series. Outrun added the mechanic of overheating in to the mix. Sure you can push this Ferrari but push it too far and things will literally get too hot to handle. Whilst Turbo Outrun adopted the turbo from Super Hang-On, at the same time the music select feature of the Outrun series migrated its way in to the Hang-On series. Both Sega’s gaming brothers Super Hang-On and Turbo Outrun proved that a sequel could be a success. A few technical upgrades were thrown in to Turbo Outrun other than the turbo element. At the end of each stage you now had the option of upgrading the car’s Engine, tyres with more grip or an insane special turbo. Turbo Outrun obviously based its premise very much on that of its predecessor. I believe it did enough though to gain fans in its own right. Added graphical details such as the rain effect all set it apart and warranted the upgrade. At points the police make appearances and there’s occasional surprised on the road such as barrels. Overall Turbo Outrun adds to the success of the original in a very complimentary way. Cleverly this wasn’t a case of which should you buy. The answer is both because the experience is different enough to warrant the purchase. Here in the UK Turbo Outrun for the Sega Mega Drive comes in the standard black case complete with manual and cartridge. The cover is stylistically similar to the original and it feels as if these games belong together as part of a set. For a UK PAL edition expect to pay up to the £20 for that perfect mint in box version. In the US $20 is achievable at the time of making this episode. What strikes me about Turbo Outrun is that it’s a game that was very well handled by Sega. This was classic Outrun but not quite as we knew it. There were enough changes here to break the simpler mould of the original and for most accounts not enough to break the feel of the franchise. The original edition featured split paths to follow whilst the sequel was linear but ore content overall. The original was easier by most accounts but the sequel catered better to a range of skill levels. Which ever you came to prefer its almost certain that you would have to look over your shoulder and play the other game from time to time. Its a decision that divides gamers to this day. So far it was 2 for 2 from Sega. We had the unquestionably brilliant original to keep the orthodox Outrunners happy and the Turbo edition for the progressive fan base and the series was much richer for this second instalment. Once they had two successes on their hands though dare Sega reach for that elusive trilogy? Gamers didn’t need to wait long as in the following year 1993 saw Sega roll the dice with one of their top franchises in perhaps the least talked about game of the original trilogy. The future was here. The future was Outrun 2019. Join me in the concluding episode of this Outrun mini series as I get to grips with the black sheep of the Outrun family. 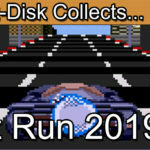 Outrun 2019. The game that fell in to obscurity so fast it gave Sega fans whiplash.